Pensión Jauja is located on a privileged site in La Rioja Alta, 5 minutes from the Monasteries Routes, 10 from St James' Way and 20 from Logroño or San Millán. Located between Cañas and Santo Domingo, 10 minutes from the golf course. 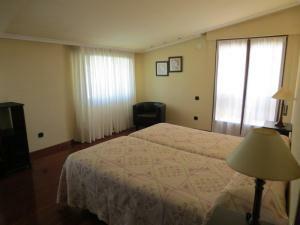 It has seven double rooms with full bathroom, TV and A/C, some with Balcony (cot if required). 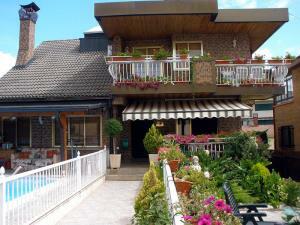 Breakfast service (buffet), easy parking and swimming pool. Economic rates and polite and friendly atmosphere. Reservations by telephone. PENSIÓN ARNEDO formerly know as Pensión Plaza, right in the centre of Arnedo (La Rioja), in front of the Town Hall, in Plaza de Nuestra Señora de Vico, but the entrance is on calle on the left, calle Felipe Abad León number 8. 50 m from the busy commercial area Puerta de Munillo and calle Libertad, where you can find all kind of shops: Pharmacy, Banks, tapas bars, restaurants and pubs. 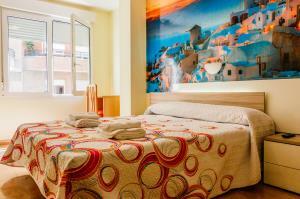 A boarding house with a friendly atmosphere, modern and clean. Spacious rooms (up to 2 extra beds). 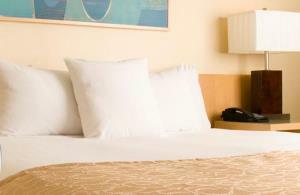 All rooms with bathroom, heating, television with 30 channels, and free WI-FI . 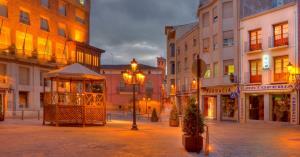 Located in the centre of Arnedo. Heating and TV in rooms. Friendly atmosphere. Somos Pensión Isasa, uno de los alojamientos más populares de la localidad de Arnedo. Nuestra pensión cuenta con 8 habitaciones dobles, adecuadas con todas las comodidades para que usted no se preocupe por nada. En nuestras instalaciones aseguramos que su estadía será una experiencia inolvidable, compruébelo. Estaremos encantados de atenderle. Come and stay in our magnificent country house which has been turned into a boarding house so you can enjoy an agreeable and pleasurable stay. Located on the St James' Way, it has four bedrooms and three bathrooms, as well as three large sitting rooms. Ideal for pilgrims to rest. A cosy atmosphere, friendly service and the ideal point of departure for all your holiday activities. 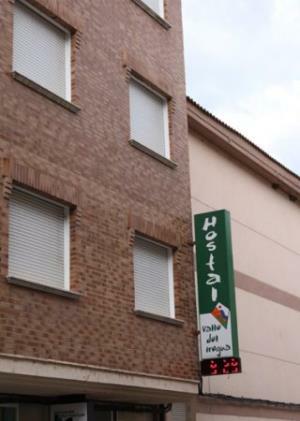 We have the ideal accommodation for you, surrounded by countryside and nature, as well as the best foodie routes in La Rioja just a few kilometres away (Haro, Ezcaray, Nájera, Sto. Domingo, etc.). Something more than just holidays at an affordable price. Somos un equipo especializado en ofrecer una estancia llena de confort a nuestros clientes. En Pensión Teresa disfrutarás de unas sencillas y limpias instalaciones en las que te sentirás como en casa. Disponemos de 9 habitaciones con excelentes acabados y distintas personalizaciones. Tenemos para nuestros clientes un servicio de guardar bicicletas .